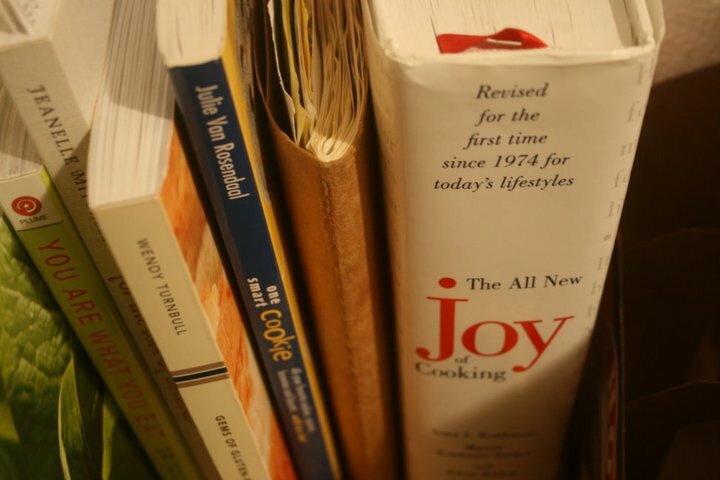 Finding the right cookbook is like finding the right partner. You’ve got to do a little hunting. A little reconnaissance and experimentation to see which one fits. What mood are you in? Are you high or low maintenance? Do you want a quick fix or are you willing to spend a whole Sunday simmering. Are you searching for comfort or something exotic? Perhaps you need some sweetness in your life. Or maybe a little spice? Are you looking for a romantic escape to Tuscany or a wander through Provence? Perhaps what you crave is a cozy day in drizzly London? Sometimes you’ve got to get back to basics – technique is important 😉 And of course a little challenge never hurt anyone. Your health and practicality should be taken into consideration. But fun is a must. Somedays we need to be spoiled. We need a companion for entertaining and one for day to day living. Perhaps a radical thinker too. And then there’s always the option of going solo. Jumping in without a recipe and seeing what happens. This entry was posted on December 2, 2011 by katelivingfull in Uncategorized.